If your family enjoys Kellogg's cereals then you may want to head on over to coupons.com and check out all the new cereal printables!! I am sure they will not be around long...they are usually pretty popular coupons that most everyone wants!! So hurry and print some for yourself....I feel a great Kellogg's Cereal deal to be had real soon!! A very special Thanks to A Frugal Friend for the heads up on these!! 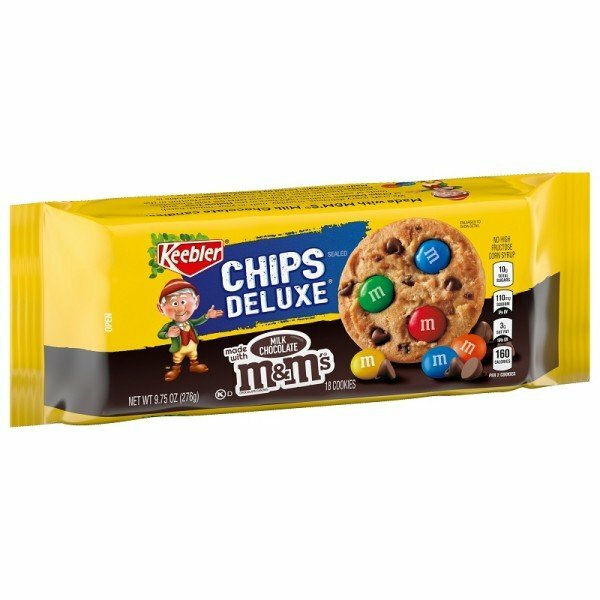 This week ShopRite has Keebler Chip Deluxe Cookies (16 oz. packages) On Sale for just $1.99 each. There is a $.55/1 (Doubles to $1) coupon here to make the package just $.99!! The coupon expires 7/31/09. The sale runs thru this Saturday, May 2nd. This Saturday, May 2nd The Home Depot is hosting another "How To" Kids Workshop from 9am-noon at all Home Depot locations. This weeks project is building a wheelbarrow. What fun for you and your little one to spend some good old quality time making something cool together and for free too!! You can find more info here. Have fun if you go!! I am starting to see a Free download pattern this week......Here is a FREE download of Taylor Swift's hit single "You're Not Sorry". Who doesn't love them?? They have to be the most well know, best tasting cereal ever!! My Little Miss still enjoys a little bowl each and every morning!! Just plain or mixed in......they are delicious and nutritious!! If you too are a Cheerios lovin' family then I have some coupons for you!! Click here to sign up for (4) $1.00 off coupons to be delivered to your inbox for the month of June. Each week you will receive a $1.00 off coupon, for (4) total. Along with the coupons each week you will also be sent recipes and tips too!! There are many ways to enjoy Cheerios....hey, you may just find a new way to serve 'em up!! To Make Your Morning Bright!!! Does this sound like you typical morning?? The alarm clock is buzzing and you find yourself dragging yourself to get up and out of bed......How does a soft, buttery yummy croissant with egg, melted cheese and your choice of bacon or sausage sound?? Pretty tasty right?? Well then, you may want to head to Sonic and give a new CroisSONIC breakfast sandwich a try!! 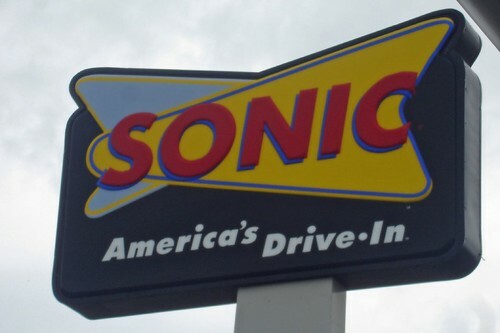 Wait before you head off though....click here and enter your email address and SONIC will send you a coupon for a FREE CroisSONIC when you buy a large drink. The coupon will expire 10 days from the day you print!! Click here to sign up for a FREE cool trial pack of O.B. mighty. small. This week's FREE music download courtesy of Walmart is Last Train Home by Ryan Star. You may remember this song from the movie SlumDog Millionaire. Click here to download. Tune in next week for another free download!! What better way to add to your music collection?? No not a real ice burg....an Iceberg from Carvel that is!! Tomorrow, is their 75th Anniversary and they would love it for you to join in on the celebrations too!! So tomorrow, 4/30 from 3-7 pm participating Carvel Ice Cream Shops will be giving away Free Icebergs!! What is an Iceberg, you ask? It's your favorite soda, blended with ice and vanilla flavoring then topped with a scoop of ice cream!! Yummy!! I am not sure exactly what it is about fresh flowers, but I just love them!! Not only in my garden, but sitting, looking Oh so pretty inside my home too!! They just brighten up the room they are placed in...instantly!! So when my tulips started blooming outside (Yeah for nice weather! )...I quickly grabbed my scissors and headed outdoors!! I snipped a few tulips from my garden and arranged them ever so perfectly in my little ceramic flower holder. Did you check out the cool little pot they are sitting in? It's a little ceramic pot with metal pegs in the center. You simply just place the flowers stems in the pegs and there they sit!! This cool little pot was a generous gift given to me, being the flower lover and I am I was WAY excited to see that it makes the most beautiful display!! I had never seen such a thing before...BUT boy an I glad to have one!! 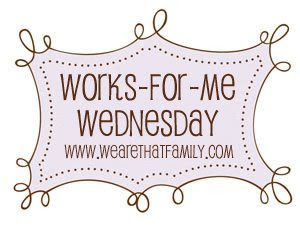 Wondering what works for other on this Wednesday? Head on over to We are THAT Family to find out!! Look What $2 Buys Through Thursday!! Looking to dine out on the heap?? Well, head on over to Ramblings of a Drama Mama to find out how you can get a $25 gift certificate from restaurant.com for just $2!! Yup, you read right $2!!! Now, that's a great deal!! Thanks for the heads up, Kate!! Just in time to show Mom or Grandma how much you care!! Hallmark is offering a 5x7 customized paper Mother's Day card absolutely FREE (up to $3.49)!!! It's very easy to make one too!! 1. Simply log into your Hallmark account or sign up here...it's free to join, just takes a second. 2. Then click here to select a card format and customize your card. 3. During checkout enter promo code CARD4MOM at checkout. You will see your total go from $3.91 to $0.00!! It's Your Special Day...You Deserve It!! Birthday dinners out.....they are a wonderful thing I must admit!! Yummy food, great company....what more could you ask for?? Perhaps a great deal on that special once a year birthday dinner?? Well, you just may be in luck!! Become a member of The Chef's Table at Benihana and you will receive a certificate for $30 off a meal on your birthday!! As a member you will also receive a monthly email newsletters filled with great info too!! You can sign up very easily here. It's great to have fast, easy, kid friendly lunches on hand for those busy days!! Here is a great coupon for those with Mac & Cheese lovin' kiddies!! SmartSource has a printable coupon for Buy 1 Kraft Easy Mac Cup, Get 1 FREE!!! For me this coupon was on page 6!! Out To Eat On A Budget??? Have you noticed lately that you've been packing lunch or eating at home more often than ever before? Well, T.G.I.Friday's would love to change that!! They are introducing a new $5 Lunch Menu for a limited time ONLY!! Choose from over 16 choices, including 9 new menu items....ranging from salads, sandwiches, wraps, and more!! And not to worry even at this low price of just $5, you will receive a full-sized portion...you'll leave both happy and full!! All sandwiches come with choice of fries, home-style potato chips or side salad with choice of dressing. More than 600 locations nationwide are participating in this promotion, so you may like to call ahead to make sure your location Friday's is participating. This promotion runs through May 31, 2009. To find a loaction near you click here. Today's Free Movie Rental RedBox promo code is:4CW33N . Just simply enter the code in the promo box when checking out at the kiosk and your one night rental is free for tonight!!! Remember the code is only valid until 11:59 pm tonight!! -Wegman's All Pork Italian Sausage (Club Pack) $1.99 lb. -Wegman's 90% Lean Ground Beef (Club Pack) $1.99 lb. -Wegman's Chicken Thighs or Drumsticks (Club Pack) $.099 lb. These deals at Wegman's run thru next Saturday 5/1/09. Once again this year, Baskin-Robbins will host their 3rd Annual 31 Cents Scoop Night to honor our hard working fire fighters around the country. This Wednesday April 29th from 5-10pm stop by your local Baskin-Robbins store and pay just 31 Cents for a small cup of ice cream all for a great cause!! 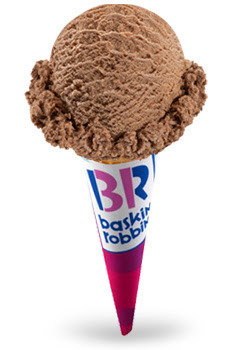 To find a Baskin-Robbins location near you click here. Here are the best coupon match-ups for this week at Shop Rite.....the sale starts today thru next Saturday 5/2. Pay just $2.98 for 2 of them!! Pay just $.99 for it!! Pay just $1.99 for it!! Pay just $1.49 for it!! Pay just $1.99 for the pack!! Pay just $.99 for the pack!! Pay just $1.38 for 2 of them!! Pay just $.99 for either of them!! See any other great deals at ShopRite this week?? Leave a comment to let us all know!! This week Acme has 12 Extra Savings Coupons on the front page of the circular...Each item is just 25 Cents w/coupon and Super Card!! In most cases there is a minimum number you must buy for this awesome price...so read the fine print!! There is a purchase requirement of $25 to be able to cash in on these great coupons!! The coupons are valid thru next Thursday 4/30. Do you just love the flavor of ranch dressing? Can you eat it on almost anything? Well, you are not alone!! Many people love ranch dressing just as much as you, in fact maybe more!! Well, Hidden Valley Ranch asked celebrity chefs, moms and kids for some of their favorite recipes with the amazing flavor of ranch, and put together a cookbook to share the ranch love!! Just in case you were looking for a few noew recipies to mix into the rotation! Here is a FREE downloadable copy of Hidden Valley Original Bites Cookbook. Thru this Sunday 4/26 you can get a FREE lip item (up to $12) with any purchase at Bath & Body Works. Simply print this coupon here and take with you to your local store. Perhaps a great item to pop into an upcoming Mother's Day basket??? This week Genuardi's has a great deal on pasta and sauce!! I suppose that means a spaghetti night for the meal plan next week!! Starting today when you buy any 2 jars of Classico Pasta Sauces for $4 (15-26 oz, selected varieties) you get 2 FREE boxes of Safeway Pasta (12-16 oz., selected varieties). Plus to make the deal even sweeter there is a $1.00/2 jars printable coupon here. So the final price for the 4 items will be just $3.00!! An awesome deal!! Pay just .99 cents for the box!! Pay just $1.80 for the box!! Buy any 10 participating items in a single transaction with your Club Card and Save! Pay just $1.00 each!! 80% Lean Ground Beef $1.97 lb. The sale at Genuardi's runs through next Thursday 4/30 with the exception of the 72 hour sale items. See any other great deals at Genuardi's this week....leave a comment with the details!! Recycle and Receive a Free Reusable Bag!!!! They will also have many stations set up throughout the store with samplings and information about sustainability and how Wegman's is helping to reduce, reuse, and recycle resources. No, I Am Not Implying Anything...Really. Have You Joined the Mac Pack Yet?? Free Fun for The Thomas Fans!!! Awaken Those Roots, Will Ya!! Time 2 Stockpile For Those With Babies!!! Reminder: DD's Iced Coffee Day!! Free Monday Rental Code at RedBox!! How Many Pins Can You Knock Down?? Does Your Pet Like Parties?? Scatter Some Joy Card Giveaway Winner!! Tax Day Freebies & Deals!!! Free Breakfast at Ikea...This Weekend Only!! How About A Free CFL Bulb? Babies R Us One Day Sale!!! Are You a Hollywood Member? Great Game Buys.....4 The Kiddies!! Almost Free Photo Card For Mom!! Rentals 4 Just a Buck!! To Add To Your Music Collection...4 Free!! How About a Chance At A Cool Easter Basket?